More and more newsrooms are adopting solutions journalism as a way to reframe their reporting on thorny community issues. The Solutions Journalism Network has trained and developed reporting projects with more than 150 newsrooms using these methods. In a new report, Lindsay Green-Barber, Founder & CEO of Impact Architects, examines what we do and don’t know about the impact of solutions journalism. The research is pretty clear about the reader and newsrooms benefits of solutions journalism, but Green-Barber’s work also highlights some important questions worth considering if you are developing a solutions journalism project. This section was contributed by Democracy Fund senior advisor Tammy Patrick, a former Commissioner on the Presidential Commission on Election Administration and a longtime elections administrator for Maricopa County Elections Department in Arizona. Follow her at @aztammyp. 1: Spotting election misinformation is easy when you know how elections are conducted in your state. Spend some time now studying what type of voting equipment is used, when your deadlines are, and what official information looks like. 2: Get to know your state and local election officials early and how to contact them on election day. 3: Make your stock footage of election procedures so the footage and images you use reflect local processes and policies. Use press briefings, pollworker training sessions, and public voting equipment tests in the weeks leading up to the election. Don’t make the mistake of using stock image that shows equipment that isn’t used in your state. 4: Cover what is on the ballot–all the way down the ballot. Research shows that people are hungry for more information about what will be on the ballot and local races and questions often lack sufficient publicly available information. “8 tips for covering U.S. elections from a former election administrator” from Shorenstein Center on Media, Politics, and Public Policy highlights resources and key considerations to be mindful of when covering elections. “Democracy on a Deadline: Take Your Coverage of U.S. Elections to the Next Level” (preview here) – is a free webinar from Poynter’s News University. Last week, the American Society of News Editors announced it was delaying the publication of the results from their annual diversity survey because only 234 out of nearly 1,700 newsrooms had submitted data. Here at the Fix we believe the ASNE survey is an important tool for understanding and responding to one of our industries most urgent challenges. 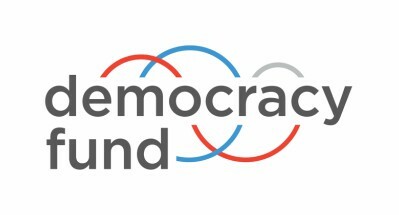 In a statement from several foundations released this week, the funders (including Democracy Fund) point out that newsrooms track all sorts of data related to their journalism, and that diversity data should be just as important. “Editors and publishers understand the necessity of using good data to drive decisions. Diversity is no different.” We strongly encourage our readers to work with their newsroom leadership to make sure your organization has participated. The new deadline is October 12. Contact lead researcher Dr. Meredith Clark mdc6j@virginia.edu or ASNE Executive Director Teri Hayt at thayt@asne.org for a direct link to your newsroom’s survey. Diversity Groups Strongly Urge Newsrooms to Contribute to ASNE Survey – National Association of Black Journalists (NABJ), National Association of Hispanic Journalists (NAHJ), Asian-American Journalists Association (AAJA), Native American Journalists Association (NAJA) and The Association of LGBTQ Journalists (NLGJA). A series of recent articles have created a fascinating discussion about opinion, bias, and point of view in journalism. The articles explore very different aspects of these big themes – from reader confusion between news and opinion pieces to how journalists’ opinions slip into the news to why we shouldn’t be afraid of having an opinion in the first place. At the heart of these pieces are thorny questions about how we serve our readers and our democracy, and the nature of trust and truth. We know this is only the most recent, in a much longer debate about these issues, and we’d love to hear from you about the articles and arguments that have helped you think about these issues. You can just hit reply, or send us links on Twitter @thelocalnewslab.